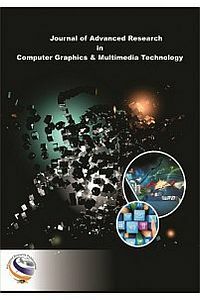 Journal of Advanced Research in Computer Graphics and Multimedia Technology is a Journal from bouquet of Advanced Research Publications which dedicated to the latest advancement of Computer Graphics and Multimedia Technology domain and publishes high quality theoretical and applied research from scientific research to application development. JoARCGMT emphasizes on efficient and effective Computer Graphics and Multimedia Technologies, and provides a central forum for a deeper understanding in the discipline by encouraging the quantitative comparison and performance evaluation of the emerging components of these domains. JoARCGMT is a peer review open access journal with a goal to provide a platform for scientists and academicians all over the world to promote, share and discuss various new issues and developments in different areas of Computer Graphics and Multimedia Technologies. JoARCGMT also emphasizes all prospective & applications of Computer Graphics and Multimedia and promulgates both the original research papers and industrial experience-analysis studies and reports with a view to provide scholarly research in original research papers and real time innovations, development and advancement in different disciplines of Computer Graphics and Multimedia Technologies in industries. The scope of the journal covers Research Articles, Review Articles, Methodology Articles, Short Communications, Case Study/ Case Reports, Research Reports, Monographs, Special Issues, Editorials research articles, Reviews, short communications and scientific commentaries in all the areas of Computer Graphics and Multimedia Technologies. Multidisciplinary types of articles are also encouraged in this journal which brings together articles from multiple technical backgrounds. All articles published in JoARCGMT are peer-reviewed. The decision of the Editor-in-Chief to publish a paper in concurrence with sections editors and reviewer’s opinion is considered final.